We live in a society in which there’s a pill you can take for just about anything that ails you – pain, excess weight, anxiety, depression, and even impotence. In fact, some would say that because we are so determined to hold on to our bad habits and choose a quick fix, it’s no wonder the pharmaceutical industry rakes in billions of dollars every year. And most of that money is spent on prescription drugs. While many drugs are prescribed too readily, others are absolutely necessary and can mean the difference between being able to function or not, or between life and death. If you or someone in your family takes prescription medications, and if you have children or adolescents in your home, then it is really important that you understand what prescription drugs are, and why it is so crucial that you keep them locked up and out of reach. If the medication is for your child or teen, then as a parent it is your responsibility to closely monitor the medication. Prescription drugs are those medications that have been prescribed to you by a licensed healthcare professional. In the U.S., prescription or “Rx-only” drugs are regulated by the Food and Drug Administration (FDA). The sale or dispensation of these drugs without a prescription is prohibited by law. Written instructions – the actual “prescription” – must be included with the medication. Only licensed pharmacists can fill your prescription. Most of the time prescription medications are prescribed to you by your medical doctor (either an MD – doctor of medicine, or DO – doctor of osteopathy). However, other types of licensed health care professionals may also prescribe drugs for you, such as dentists, nurse practitioners, podiatrists, and naturopaths. Optometrists can prescribe medications specific to particular eye diseases. In some states, psychologists who have taken the required training and received the appropriate certification can prescribe psychiatric medications. In other words, there are a variety of licensed professionals who can prescribe medication in addition to your regular doctor. Your prescription medication will also contain an insert that gives you a detailed description about what the drug is supposed to do (e.g., alleviate pain or reduce symptoms of anxiety) and how it works in your body. The insert will also include what is often a very long list of potential side effects. While some of the side effects listed may be common, others that are quite rare are included as well because there is just a very slight chance they might occur. The insert will also list precautions and warnings, such as possible allergic reactions or what to do in case of an overdose. Unfortunately, some people don’t read labels very closely, and fewer still read the insert. Of course, if you are like most people, reading tiny print written by attorneys is something you generally don’t care to take the time to do. As a parent, however, you should make a note of potential side effects of any medications you bring into your home. You may have wondered at times why some medications are available via prescription only, while others can be purchased right off the shelf of the drug store or grocery store – typically referred to as “over the counter” (OTC) medications. For the most part, there are very good reasons for this, although there are some gray areas as well. After all, there have been many medications over the years that were initially available only with a prescription and are now available over the counter. Good examples of these are allergy medications such as Claritin and Zyrtec. Other medications, such as ibuprofen, are commonly purchased over the counter in smaller dose pills, but require a prescription for higher doses used for extreme pain. Prescriptions are typically required for medications that require the treatment of a medical professional. This is largely for the safety and well-being of the patient. For example, while it is generally considered safe to self-medicate a headache with aspirin or a mild pain reliever, debilitating and chronic migraines usually require medical attention and prescription drugs that could be harmful in the wrong hands. Many prescription medications can be very dangerous in high doses. This is one of the reasons why your prescription contains only a certain number of pills. For example, the older antidepressant medications – the tricyclics – can be fatal if too many are taken at once. If they could be purchased over the counter in unlimited quantities, it would be very easy for suicidal individuals to get them with the intent to overdose. But a prescription helps limit that kind of access. There are many prescription medications available today that have side effects which make them particularly appealing to someone looking to get high. For example, stimulant medications used to treat attention deficit hyperactivity disorder (ADHD), such as Ritalin, work like speed for someone who doesn’t have ADHD. You can probably imagine what would happen if anyone could walk into a store and stock up on those! Prescription medications that have a high risk for abuse are included in the category of “controlled substances.” Controlled substances include all the illicit drugs (e.g. marijuana, heroin, cocaine, etc.) as well as many prescription drugs. They are strictly regulated by the government. Along those same lines, there are many types of prescription drugs that can lead to dependence and / or addiction. Dependence occurs when your body gets used to the medication and goes into withdrawal when it is stopped too quickly. Sleep medications, particularly the benzodiazepines (e.g., Xanax and Valium), if taken for long periods of time, will typically lead to a physical dependence. They are also popular medications for addicts. And if the person stops taking them too quickly, dangerous side effects such as seizures may occur. Prescription pain medications can also lead to dependence and addiction. Prescription drugs can also be harmful and even fatal to individuals with certain medical conditions, medical histories, or who are also taking other medications. This is why your doctor obtains your medical history before prescribing a medication for you. He or she will want to know of any allergies, if you are pregnant or breastfeeding, if you have high blood pressure, what other medications you are taking, and so on. The answers to these types of questions will determine if a particular medication is safe for you to take. For example, many medications are not safe for women who are pregnant or breastfeeding. If taken, they can cause serious damage to the fetus, leading to birth defects or other tragic outcomes. Many medications interact with other drugs, and the side effects can be dangerous if not fatal. Also, some medications should never be taken with alcohol. This is why prescription drugs can be especially dangerous in the hands of children or teens – they have no idea that they are playing with fire. 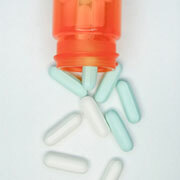 Prescription drug abuse is much more common among teens than most parents realize. In fact, it is on the rise. A 2009 survey of 16,000 adolescents conducted by the Center for Disease Control and Prevention revealed that 20 percent of teens in high school in the U.S. reported that they had taken a prescription medication that wasn’t prescribed for them. “Pharm parties” is one of the popular terms used for teen prescription drug parties where everyone gets together and pools (and uses) the medications they have accessed. Even if your son or daughter gets good grades, stays out of trouble, and doesn’t “seem” like the type of teen that would ever touch drugs, it is better to be safe than sorry. Many unsuspecting parents have found out the hard way that their teen had started sneaking into the medicine cabinet. Perhaps initially it was due to curiosity, or the dare of a friend. But what may have seemed like harmless fun at first ended up in a trip to the emergency room – or morgue. Teens often have the mistaken belief that prescription drugs aren’t as dangerous as street drugs. In fact, many believe that since they are prescribed by a doctor they should be safe. Also, many teens regard prescription drugs as more socially acceptable. However, what they don’t realize is that many prescription drugs can have very serious side effects and be just as dangerous as illicit drugs. Some prescription medications can significantly impair judgment, reduce reaction time, or cause drowsiness, making them especially dangerous if the adolescent gets behind the wheel of a car after taking them. Painkillers – Painkillers, formally referred to as opioids or opiates, are very popular amongst teens. Vicodin (hydrocodone) and OxyContin (oxycodone) are especially popular, but others include Tylenol with codeine, Percocet (oxycodone), Demerol (meperidine) and Dilaudid (hydromorphone). These pills are often crushed up and then snorted. They are highly addictive and, sadly, can lead to heroin use in some cases because heroin is so much cheaper and often easier to obtain.Prescription pain medications can be very dangerous, particularly if combined with alcohol or taken in high doses. Large doses can be fatal because they significantly slow down one’s breathing. Other effects include dizziness, sedation, changes in mood, nausea and vomiting, difficulties with concentration, apathy, and loss of appetite. Central nervous system (CNS) depressants or sedative-hypnotics – Prescription medications in this category include benzodiazepines (e.g. Xanax, Valium, Ativan) and barbiturates (e.g. Nembutal). Benzodiazepines are used primarily to treat anxiety, panic disorder, and problems with sleep. Barbiturates are primarily used today for anesthesia prior to surgery or as anticonvulsants.Barbiturates are highly sedating and can impair coordination, thinking, and judgment. They can cause coma and even death in high doses. They should never be combined with alcohol, opiates, or benzodiazepines.Benzodiazepines are also very sedating and can cause unsteadiness, difficulties with concentration, and dizziness. Like barbiturates, they should never be combined with alcohol, opiates, or other depressant types of drugs. Stimulants – Stimulants are especially popular with teens who want to lose weight, have more energy, or stay awake (e.g. while studying for an exam). But many teens abuse them just for the adrenalin rush. Many medications used to treat ADHD (e.g. Adderall and Ritalin) and narcolepsy fall in this category.Stimulants can cause rapid heart rate, nervousness, and insomnia. More serious but less common side effects may include lightheadedness, aggressive behavior, hallucinations, very high blood pressure, fever, and, if taken in overdose, death. While these are the three types of prescription drug categories teens abuse the most, they may abuse other prescription medications as well. Curiosity is sometimes all it takes for a teen to try a prescription within reach. Also, many teens, just like adults, will try to self-medicate, especially if they don’t feel comfortable talking to their parents about personal things. Again, always keep your medicine cabinet locked. Never assume that your teen won’t experiment or self-medicate with prescription medications in your home.